Update: Thanks for your interest in purchasing our plans. Here are the links! My husband made this table for Legos (we have a lot of Legos). There's a rail around the top so pieces don't fall on the floor and each side of the table has six drawers for storage. The drawers are on nice metal sliders so they are sturdy and pull all the way out. 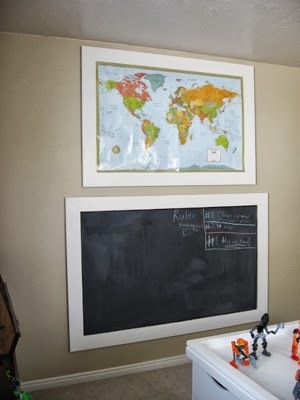 My husband also made this big frame for a map we had and and a huge chalkboard. Oh, and I painted the walls. Here's something I actually made...these stackable chicken coop cubbies for toy storage. I did the cutting, sanding, and finish on these. But my husband did help set up the equipment and figured out all the dimensions so I guess he still deserves credit too. I wish I could have made five (always better to have an odd number), but we only had the materials for four. And here are the F-U-N collages on the wall. They are hanging above a half-size door that goes into a little cubby under the dormers. It has been a club house, recording studio, and reading nook. Someday I might paint in there and add a few throw pillows. Not only does B spend a lot of time in here with his friends, but we have 22 nieces and nephews so this will be a fun place for them to play when they come over. What an awesome play room! I'm afraid if that were at my house, I wouldn't get much work done!!! This is so awesome! Your husband should get that table patented, it is so thoughtful and ideal for lego play! I also love your F-U-N collages! Love your blog. I forget exactly how I found you, but I sure am glad that I did. 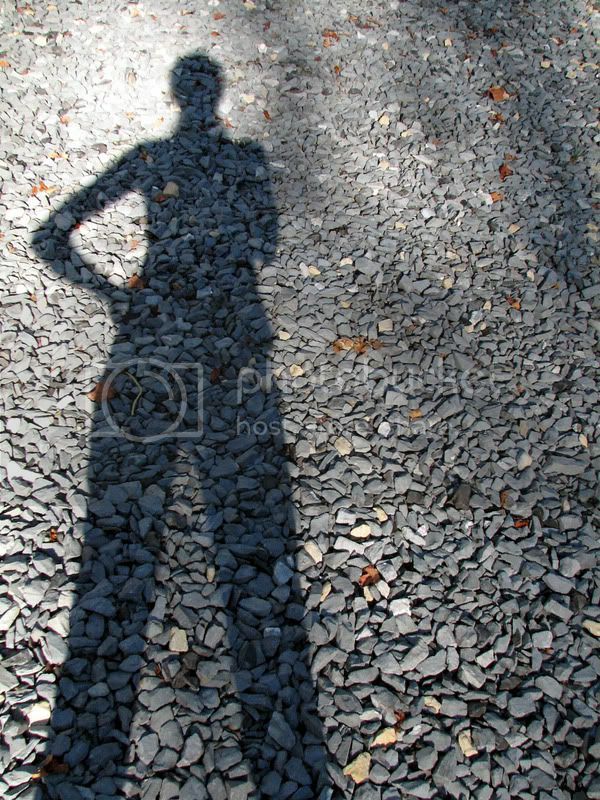 jessica, i am SO SO glad that you posted pictures of this. 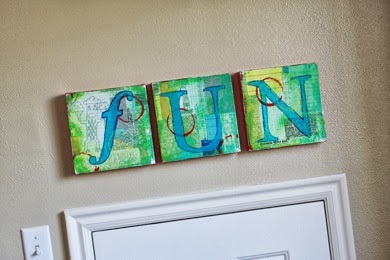 we are in the process of figuring out our new playroom and i love seeing what other people do and getting ideas. thanks! And yay for guitar hero! I can certainly imagine all the fun & laughter when everyone is playing in this room! What a great playroom! If it were mine I'd never come out. Hee, hee! Then go hibernate in there with a riveting book or crafty project. Thanks so much for sharing. I really enjoyed the photos and the descriptions. The Lego Table is way cool and as a mother of two boys with way toooo many legos I am so jealous. I think the patent idea is a good one! That table is brilliant! I am very envious of the lego table! It is great. Gret job on your shelves also. May I ask what color the room is? Great organization! I love your Legos storage!! Would you pretty please start a side-business building and selling those lego tables?! We are continually injuring our feet by stepping on little legos that hide themselves in the flooring. My son likes to move the lego's around since he ca lift the storage boxes we keep them in. Love the table! Hi Aimee...the color of the room is Gobi Desert by Behr (710C-3). This is a perfect design idea, I am going to copy it. 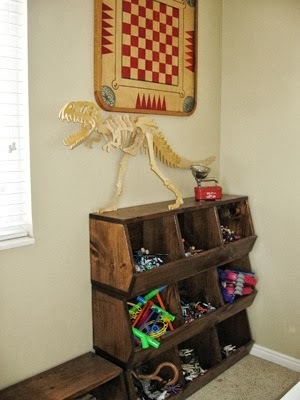 We need a creation area for my son to build and storage as well! What a wonderful playroom!! Wish I'd seen some of these ideas when my kids were little :) Maybe someday for our (future) grandkids! Great play room I wish I had the room to make one in my house... ow hell one can dream. Can I get the plans for you chicken coop bins. I love them!!!! They would be great in the kitchen I'm working on. Wow, I'm so inspired! 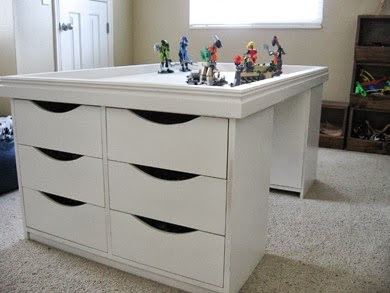 I love the drawers on the Lego table. Such a huge step up from a "train table". Hi Blue...we didn't use plans for the chicken coop cubbies. My husband just figured them out for me as we went along. We'll have to draw some up, sometime! Love the playroom! You did a great job! Wow! Love this room. Any DIY plans you can share for the Lego table. I would love to build one but wouldn't know where to start. 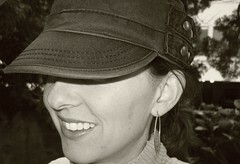 Dree...I put a bug in my husband's ear to draw up some plans. I'll post them on my blog if they are ever available! I'm afraid if I had a little cubbyhole like that one under the dormers...I'd make it MY clubhouse. Found your blog on The Organizing Junkie's blog (orgjunkie.com). Fantastic job! Inspiring & it looks amazing. Thanks for sharing. Is is okay to say that I am coveting your chicken coop boxes?...I am not doing so in an overtly passionate manner, but I think that they rock and I want some now for my kids room too. I have three kids G9, B6, and G2 in a long, deep bedroom. Bunk bed with trundle have definitely helped with clearing up the floor, but these are exactly what I need for toys now that my five month old is trying to crawl. Hi Candace...glad you like the cubbies! I'm hoping to possibly sell some and/or the plans to make them. We'll see! I love the chicken coop storage. I'd love to copy the idea for my little girl, what sort of dimensions did you use? Lovely! Wish we had a playroom- the boys share a bedroom and it serves as their playroom too so it's so cramped! Can you provide more details instructions on how to make the lego table? prefab drawers? from where? classyt...my husband built everything, including the drawers, and we have the plans available for sale at iron timber.etsy.com. Thanks!